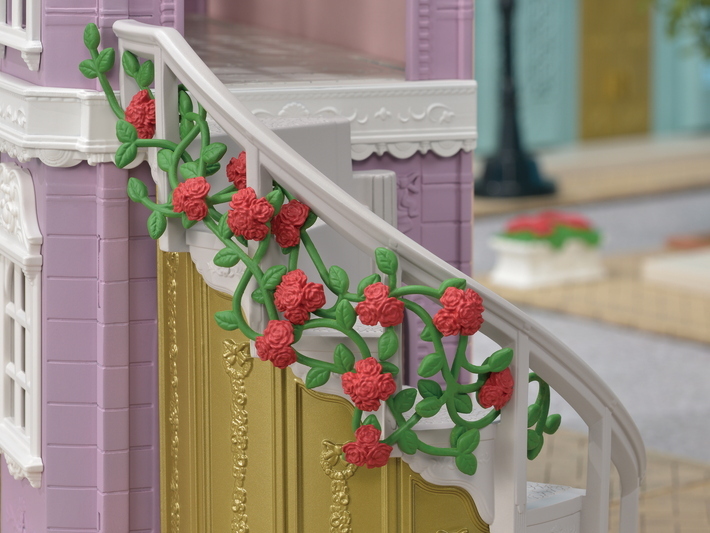 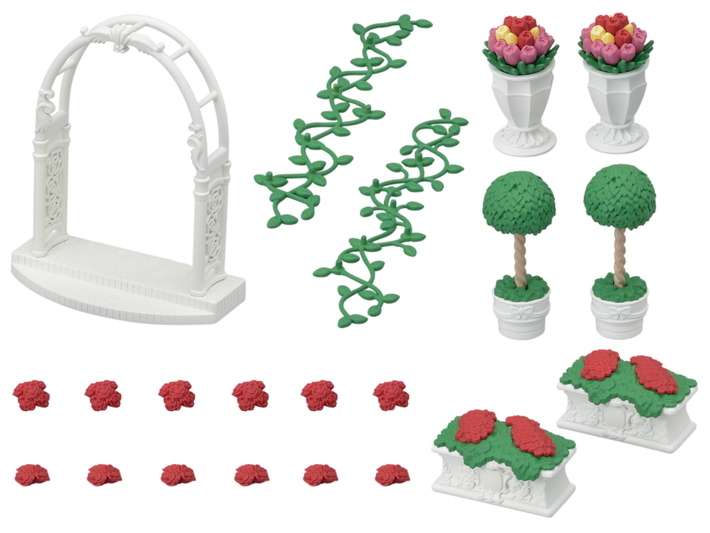 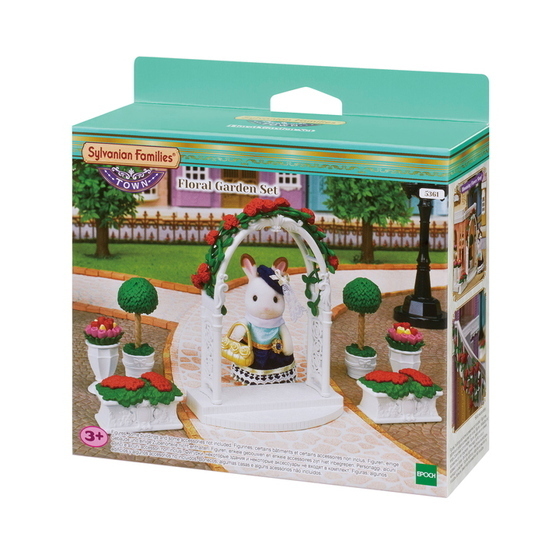 Floral Garden Set includes a rose arch with many accompanying flowers and plants to brighten up the town. 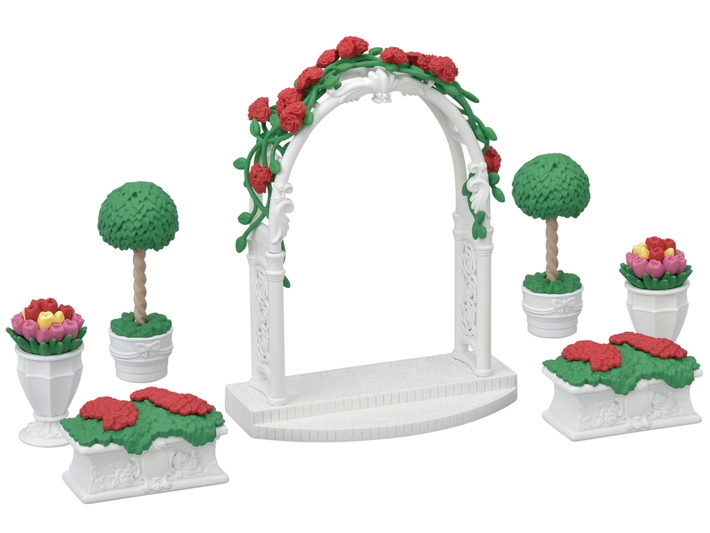 Floral Garden Set includes a stylish rose arch covered in rose flowers and tangled with vines, potted weeping fig and a tulip and geranium planter. 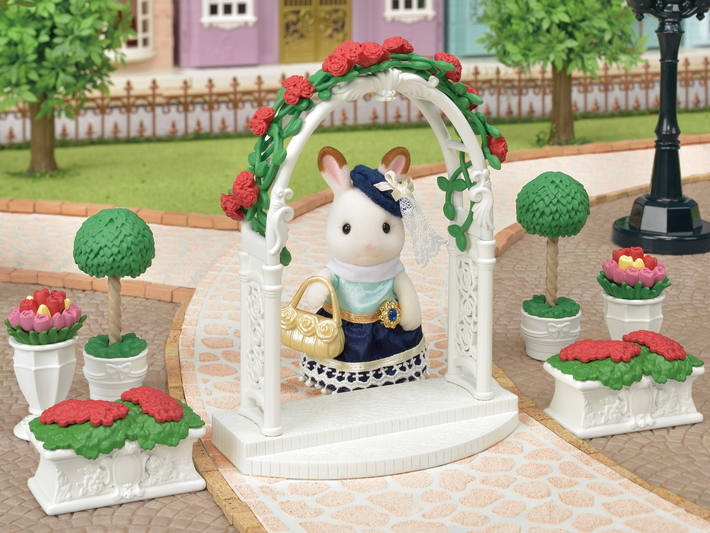 Lay out all of the contents of this set to create a lovely floral garden. 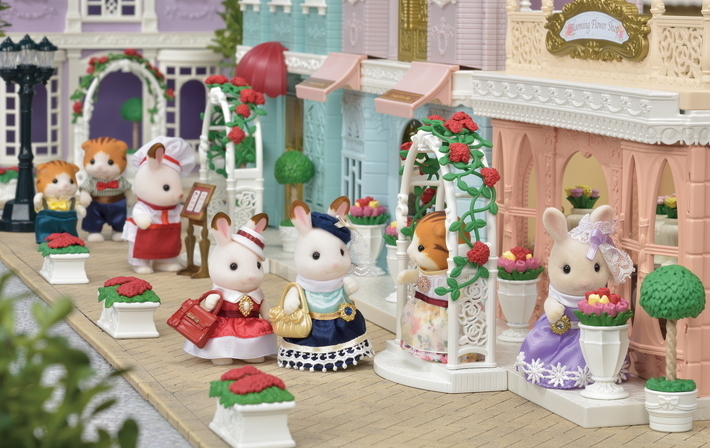 Create a wonderful townscape by placing alongside buildings from the town series (sold separately).